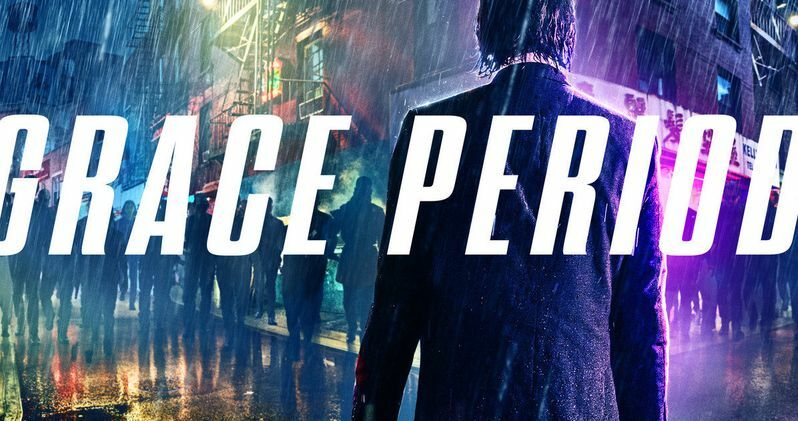 The latest John Wick 3: Parabellum banner declares that the grace period is over for our hero. It's been an excellent week for John Wick fans with the release of the trailer for the upcoming third installment. The trailer gives fans everything that they love about the franchise and more, including a badass scene where Keanu Reeves takes down a motorcycle assassin while on horseback. However, this is just the beginning of the promotional campaign, which means that there is a lot more to look forward to in the coming months. The new John Wick 3 banner looks pretty similar in terms of theme as the poster that was revealed yesterday. Where the poster gives us a bird's-eye view of Wick staring down a group of assassins, the banner brings the view down to our hero's level. It's raining, it's dark, and it looks like Wick's world is going to violently explode right before our eyes. John Wick 3 might just make the previous two installments seem tame in comparison. With a $14 million price on his head, John Wick has to get the hell out of New York City as fast as he can. As we can see in the John Wick 3 trailer, that's not going to be the easiest task to pull off with expert assassins around every corner on the hunt for that big payday. Keanu Reeves explained the Parabellum title a while back, noting that it's part of a famous sentence. He said, "Si vis pacem, para bellum, which translates as, If you want peace, prepare for war." John Wick is certainly prepared for war in the upcoming movie. As far as John Wick 3 being the final movie in the franchise, director Chad Stahelski recently revealed that he and Keanu Reeves want to keep that war going. Specifically, the director admitted that he and Reeves have a lot of ideas that could keep the franchise going on well after the third installment. However, the addition of more movies will rely on people going to see John Wick 3 in theaters. If it's a box office success, we will more than likely end up seeing more. John Wick 3 hits theaters on May 17th, which should be a safe distance from Avengers: Endgame's release date. The first installment made $88.8 million worldwide and was seen as an unexpected success. The second movie came out in 2017 and was able to gross $171.2 million worldwide. This means that the third movie, in theory, should be able to build off of the strengths of the first two and make even more money. The John Wick 3 trailer certainly looks promising and there's a new set of fans who can't wait for it to hit theaters. While we wait for the movie to be released, you can check out the John Wick 3 banner below, thanks to Lionsgate.